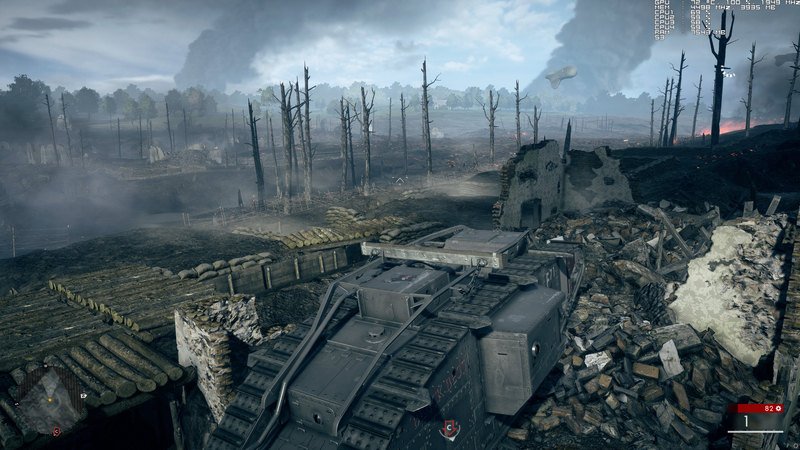 If consoles can produce impressive 4K visuals, what about mainstream graphics cards? Checkerboarding, upscaling, temporal anti-aliasing, dynamic resolution. Let's give credit where it's due: at its best, PlayStation 4 Pro's utilisation of these techniques produces some impressive results for 4K displays - no mean feat considering that the Pro's GPU is relatively underpowered compared to today's mainstream PC graphics hardware. And this led us to wonder - what if those techniques were rolled out in the PC space? Could the cost of admission to the world of 4K gaming drop dramatically if the techniques championed by Sony worked just as effectively for PC gamers? Going into these tests, the objective was simple. We wanted to match or improve PS4 Pro's 4K outputs on PC, using an Nvidia GeForce GTX 1060 - the firm's best GPU in terms of price vs performance. Yes, out of the box we have a power advantage over Pro, and we would be using all of the tools at our disposal for best results - including aspects not available in the console space, such as overclocking. However, the received wisdom is that this card isn't powerful enough to power 4K gaming, and we wanted to put that to the test. Of course, there is an element of smoke and mirrors here. A lot of PS4 Pro's 4K rendering techniques don't actually resolve a full native ultra HD framebuffer, and yes, there is a resultant cost in terms of the quality of the presentation. The question is the extent to which you'll notice the downgrade in real world conditions. Stack up a native 1800p image up against a full 4K framebuffer on an ultra HD screen and the difference should be obvious. Certainly, when you look at the zoomer images on this page, the softness on the lower resolution image is apparent, though perhaps not as much as it should be. However, whether we're talking about 27-inch or 32-inch PC monitors, or large living room UHD TVs at normal viewing distances, the extreme pixel density of the displays makes the difference much more subtle in real world conditions. And then there is a fundamental compromise in today's LCD technologies. They use a system known as 'sample and hold' in refreshing the panel, the result being that resolution in motion is significantly lower, making the difference between upscaled and native internal rendering resolutions in fast motion more difficult to ascertain. Sony's internal PS4 documentation for developers highlights 1800p as a good resolution compromise if native rendering is not possible. Looking at the results seen in 1800p titles like The Last of Us Remastered and No Man's Sky, the results are clearly impressive and a significant leap over a 1440p output. The bottom line is that native 4K output may be preferable in terms of pristine crispness, but often, when we carry out our pixel counts, PS4 Pro's 'Faux K' upscaling and checkerboarding techniques look much better on our 4K screens than the numbers would suggest. And for the PC, tapping into this can be problematic: beyond full HD support, many UHD TVs only accept 1440p and full 2160p output, when our tests suggest that 1800p rendering is a good target for mainstream GPUs like the GTX 1060. Rich presents his test findings in this native 4K video. DF Patreon supporters can grab a pristine copy of this video from www.digitalfoundry.net. The good news for PC users is that there is a route forward here for almost all games. A great many titles already implement internal resolution upscalers - good for super-sampling or upscaling. Take the Frostbite engine, for example. Its internal scaler can be dialled down to 83 per cent, providing 1800p internal rendering support while at the same time providing full 4K resolution HUD elements. Battlefield 1 was our first test with the GTX 1060. We set the display output to 4K and began experimenting with the quality presets - we achieved 60fps gameplay by using a mixture of high and medium settings, with a touch of ultra too. Post-process quality and effects quality required the biggest downgrade, dropping back to medium settings. Mesh, terrain and undergrowth quality could be left at high, while texture quality and filtering ran at ultra. It's often tempting to dial down settings globally until you get the frame-rate you want, but doing so ignores the fact that some rendering aspects aren't always directly related to resolution - geometry and texture quality, for example. We were looking good here, but frame-rate spikes necessitated one further downgrade - we took resolution scale down to 80 per cent, effectively a 3072x1728 pixel-count, but we also invoked DICE's temporal anti-aliasing solution, which is one of the best AA solutions we've found. There are a few comparison shots elsewhere on this page so you can judge the results for yourself, but what's striking is that with the additional GPU horsepower available, the presentation is crisper and more detailed than PS4 Pro (which uses a vast range of techniques we couldn't use, like dynamic scaling and checkerboarding). We simply have more horsepower at our command here. It's obviously not as good as a GTX 1080 Ti running everything at ultra, but bearing in mind the cost differential between the two cards, the trades are worth it, and on an actual 4K screen, the differences between the two PC GPUs are more subtle - even the zoomer shots below demonstrate how close we are. 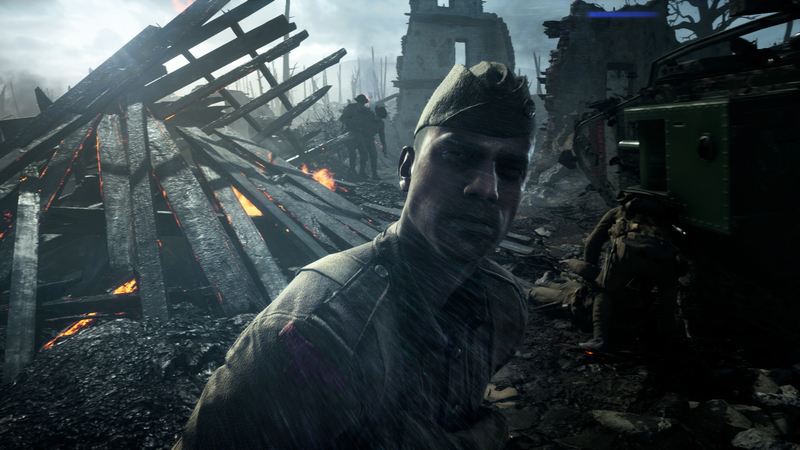 And of course, if you do have a more powerful graphics card, using these techniques can obviously help there too - a GTX 1070 at 83 per cent resolution scale (1800p) could run the entire game at ultra settings, with just one compromise - post-processing (the most taxing variable in Battlefield 1) still needs to stay at the medium level. Regardless, the presentation there gets even closer to the maxed-out 4K experience - and it's all down to the quality of DICE's exceptional scaler and temporal anti-aliasing solutions, plus the overkill that some ultra-level settings represent. Horizon Zero Dawn represents the current pinnacle of PlayStation 4 Pro's 4K capabilities. It's an exceptional 4K experience. Happily, internal resolution scalers are becoming more commonplace in PC gaming, but there will always be titles that don't support it. It's here where AMD and Nvidia can step in. Both vendors offer super-sampling, downscaling solutions in the form of VSR and DSR, but what we don't have is an upscaling solution for 4K screens - specifically, support for arbitrary resolutions like 1800p, for example. It would be child's play to implement, because there is an unofficial tool out there right now that does the job: Custom Resolution Utility by ToastyX. This tool works by 'injecting' new resolutions not supported by the display into your PC. Both AMD and Nvidia hardware have internal GPU scalers - just pop into the control panel to activate that functionality, and away you go. Without the GPU scaling, you'd get nothing but a black screen or an 'unsupported resolution' message on your screen once your custom selection is activated, but with the scaler in place, your custom resolution is upscaled to a full 4K output. It's a really useful tool to have and can dramatically improve performance with only a subtle hit to real world image quality, depending on the custom resolutions you choose to add. 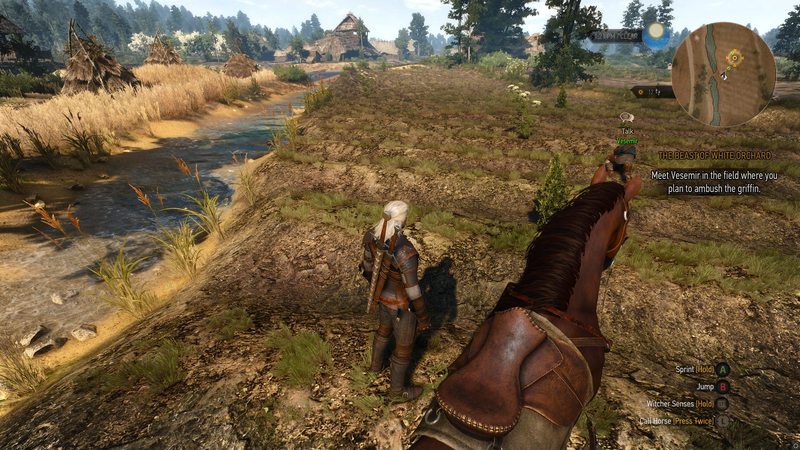 With the GTX 1060, we could take a title like CD Projekt RED's The Witcher 3 and run it well above 30fps on ultra-level settings (performance-killing HairWorks disabled, of course), but quality tweaks could potentially bring this title to a native 4K30. It's an interesting game to test the GPU scaler with, owing to its high detail, high contrast artwork and its less advanced anti-aliasing (it looks like FXAA or a custom off-shoot of it). Of course, being a straight upscale, the result is soft, but again, the impact is less pronounced in motion on an actual 4K screen owing to the combination of extreme pixel density and sample and hold. The performance win is substantial though - dropping from 4K to 1800p saw frame-rates rise by around 40 per cent. 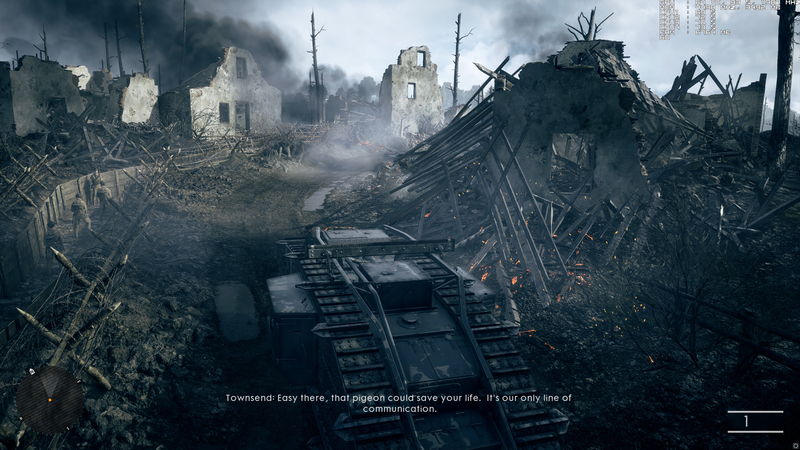 A key disadvantage to this technique is that unlike internal resolution scalers, the user interface and HUD elements are also scaled. It's not the best look, but the quality of Nvidia's scaler is very good, based on our tests. 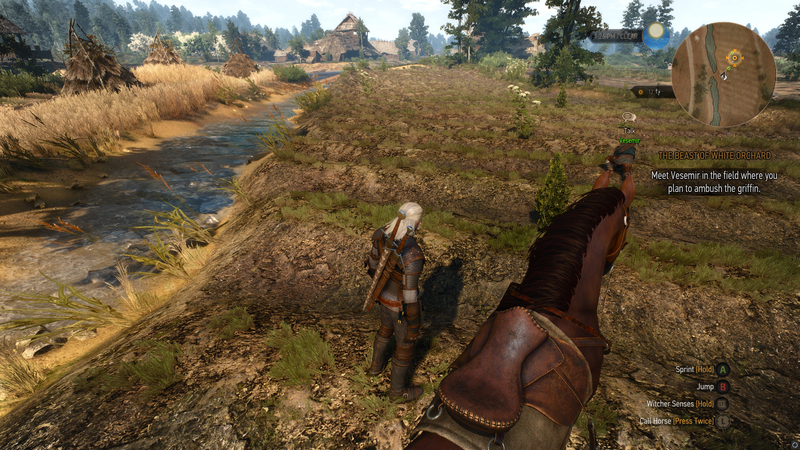 The Witcher 3's HUD resolves nicely, but more to the point, challenging in-game visuals and less than stellar anti-aliasing also fare well. Battlefield 1 compared between our balanced GTX 1060 set-up, the ultra experience running on a GTX 1080 Ti and the PlayStation 4 Pro version. Pro is clearly operating at a lower resolution with reduced terrain quality apparent in the bottom-left of the image. Our GTX 1060 set-up has many compromises but compares well enough with the full-fat 4K experience. The disparity between console and PC remains in this detail-rich scene. 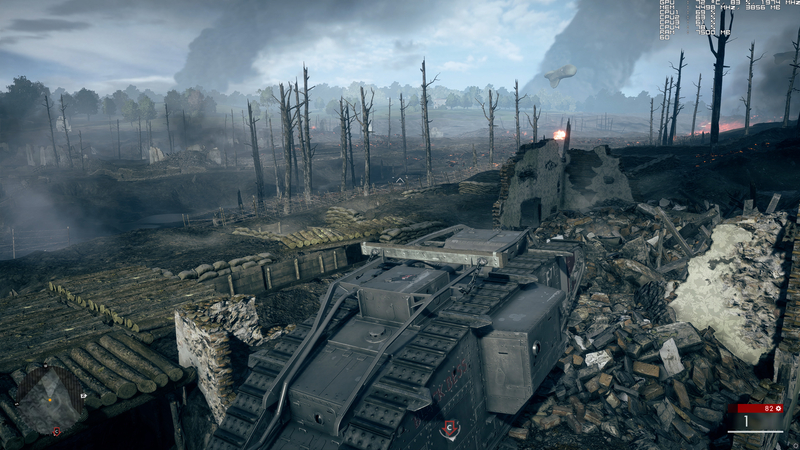 DICE's scaler and temporal anti-aliasing solution simply work beautifully on PC. This shot, taken with our customised GTX 1060 set-up, retains the same settings, but renders them at 80 per cent resolution scale (3072x1728) versus the full-fat 4K. At this point, we're looking good. The GTX 1060 is more capable than the PS4 Pro's GPU, and we're able to use similar upscaling techniques to achieve improved results. We're also able to take advantage of the platform's inherent scalability on the existing library of titles. 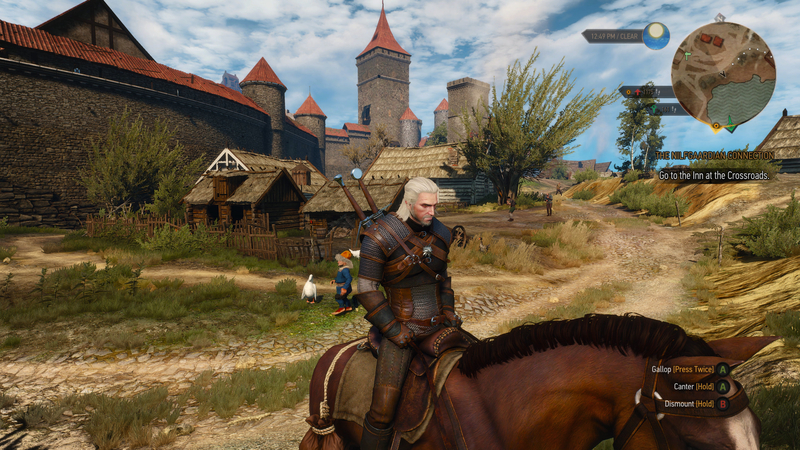 There is no PS4 Pro patch for The Witcher 3, whereas the PC version scales up to 4K and beyond. However, there are two further crucial techniques we've seen on PS4 Pro where adoption on PC is spotty to say the least: dynamic resolution scaling and checkerboarding. To keep things simple, checkerboarding at 4K essentially involves the developer creating a 1920x2160 framebuffer, using advanced upscaling techniques to extrapolate out a full 3840x2160 image. The result can look slightly soft, but when you look at games like Horizon Zero Dawn, it's impossible not to be impressed at how effective the technique is. And it can also be used in conjunction with standard upscaling - so PS4 Pro games like Watch Dogs 2 and Gran Turismo Sport resolve an 1800p presentation using checkerboarding, before upscaling to full 4K. Somehow, it holds up. 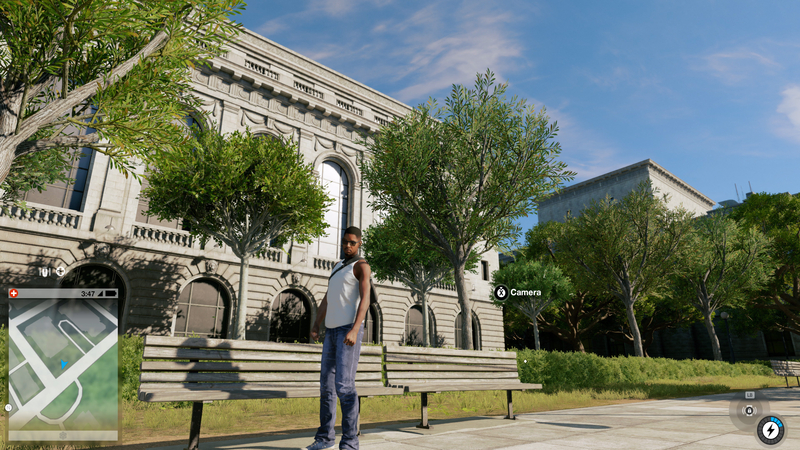 There's only spotty checkerboarding support in PC titles, but Watch Dogs 2's so-called temporal filtering is a great example. Ubisoft's work in this area has been exceptional, and while the performance increase isn't quite in line with console implementations, our tests show a clear 35 per cent uplift with only a minor visual impact. For our PC tests, we followed Pro's example, using the game's internal scaler to target 1800p with temporal filtering also enabled. Remarkably, at mostly ultra settings we were getting performance in the 35-45fps area. 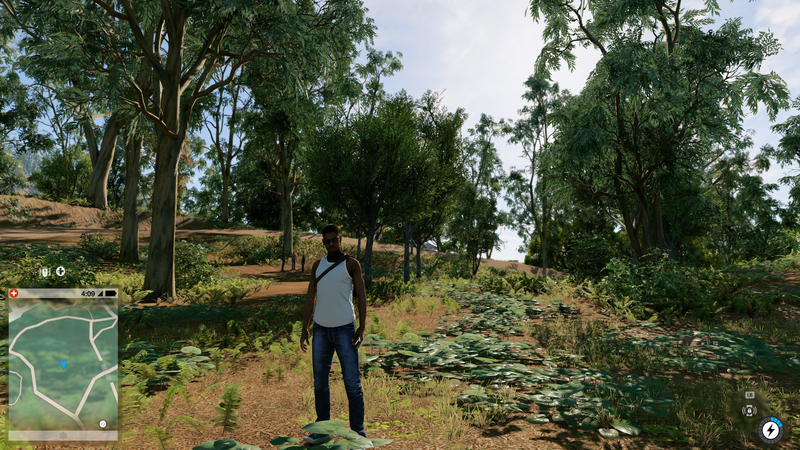 We dialled back shadow quality to the very high preset, disabled the San Francisco fog effect and dropped screen-space reflections to medium (these are disabled completely on Pro). We even had enough CPU time left over on a Core i5 6500 that the 'overkill' extra detail setting could be ramped up to 50 per cent. The game looks great in this configuration, but further settings tweaks could probably have yielded an even higher resolution with little overall impact to the look of the game at much the same performance level. And that's an aspect of PC gaming that we love, that really came to the fore during our GTX 1060 'Faux K' testing - the fact that the user is completely in control of the experience, and can make the visual trades they want, according to their tastes and the hardware available. And that 35 per cent uplift afforded by the checkerboarding option is significant. To put it into perspective, our benchmarks show that the GTX 1070 is 35 per cent faster than the GTX 1060. In this case, engaging PC checkerboarding technology is equivalent to a GPU upgrade with only a minor visual hit at higher resolutions. The overheard offered by using temporal filtering can be used to improve the quality of the presentation overall by invoking higher level effects like screen-space reflections, boosting frame-rates or a combination of both. It's a win-win. 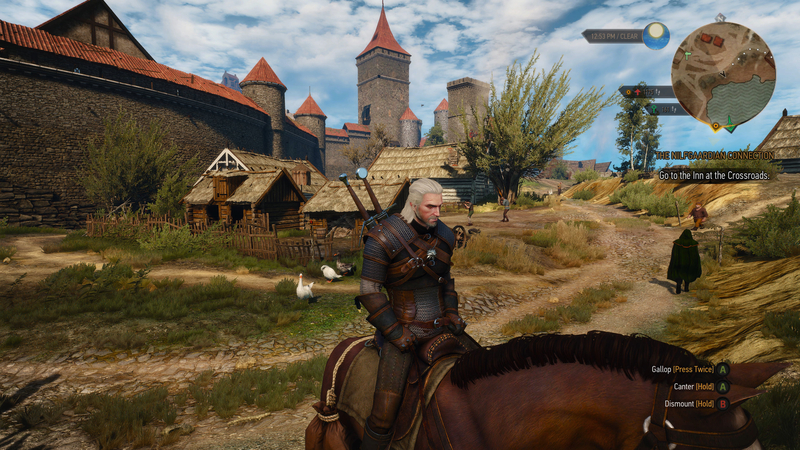 The Witcher 3, ultra settings, HairWorks off. Here we've set up a custom 1800p resolution unsupported on most 4K screens, but we are invoking the GPU scaler to get that 4K output. It's softer, but the effect is less noticeable on an actual 4K screen owing to the extreme pixel densities there. 1800p vs native 4K is effectively the 'next-gen' equivalent to the 900p/1080p divide on current-gen consoles. The difference is less noticeable at these more extreme resolutions - pixel density has increased but the physical size of displays has remained much the same. In effect, we're looking at two upscaling solutions here on the left - checkerboarding up to 1800p, then scaling up to 4K - the same solution used on PS4 Pro. Compare to the 4K image, it's the foliage elements that are the most notably compromised. Heavy on the foliage here, the limitations of the checkerboarding and scaling are apparent. However, we gain two sets of performance boosts here, it looks good in motion and essentially opens the door to running this demanding game on a 4K screen using a mainstream GPU. If checkerboarding has such a positive impact on PC gaming, dynamic resolution scaling has the potential to be even more beneficial - and it's a shame that so few PC games support it, while console take-up is gaining momentum. Our preference is to tune PC settings based on stress points and worst case scenarios to achieve the most consistent level of performance throughout the game. But why reduce quality settings that effect image quality all of the time, when frame-rates take a dive only for a fraction of the time spent playing the game? Turn 10's PC iteration of the Forza Motorsport engine does a great job of dynamically adjusting all settings on the fly to maintain performance, but changing resolution on the fly is perhaps an easier solution. It works beautifully in the console versions of Battlefield 1 and is sorely missed in the PC rendition of the Frostbite engine, but we do have a title that supports it beautifully - Titanfall 2. For GTX 1060, we set up a custom 1800p resolution and tailored quality settings so that we were at 60fps for the vast majority of gameplay. This was fairly easy - turning off ambient occlusion in line with the console versions and adjusting shadow settings got the job done. With this configuration, gameplay operates at 60fps, with minimums in 45-50fps territory. Engaging Titanfall 2's dynamic scaler irons out these dips, producing silky smooth gameplay throughout. The image is softer in stress points, but the game's utilisation of temporal anti-aliasing already gives it a less defined aesthetic any way. Drops in resolution aren't quite as jarring in this case as you might think. 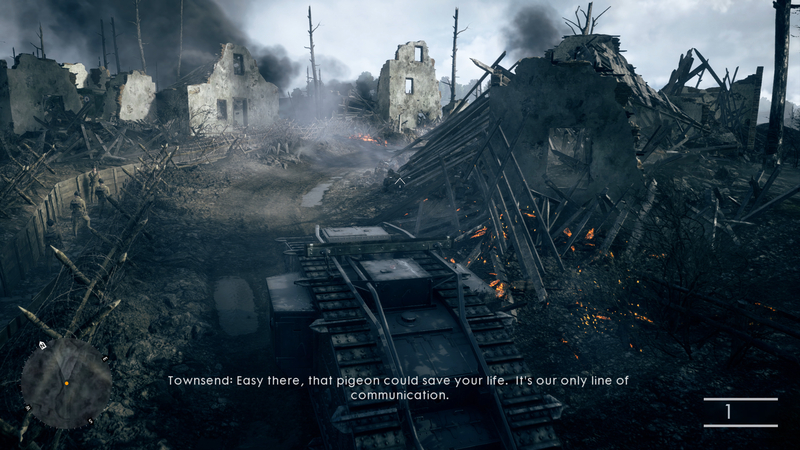 Happy with results thus far, we dumped the 1800p resolution in favour of full 4K, retaining our custom settings. What this means is that in less challenging areas, we'll actually be resolving resolutions in excess of our 1800p target, while pixel-counts showed the game hitting resolutions in the 1500p area at the absolute minimum under high load. It's not a pristine presentation, but this game prioritises frame-rate and low latency response - and our results here still look good on a 4K screen. Crucially, the game plays better because of it, so we would really like to urge developers implementing this feature on consoles to consider adding it to their PC releases too. Can a mainstream GPU like the popular GTX 970 power a 4K screen effectively? 4K on a Budget is a new Digital Foundry series attempting to address that and it kicks off with this 'can it run Crysis?' episode. Spoilers: yes it can. So what's the takeaway here? The fact is that PC gaming still has a lot to learn from the consoles, and PS4 Pro in particular, when it comes to addressing a 4K screen. For a start, there's the whole concept of 'bang for the buck'. We're perhaps too wedded to the idea of global presets in PC game settings - if everything isn't ramped up to ultra, there's the feeling that somehow, we're losing out on the complete experience when the reality is much more about diminishing returns. Console titles only rarely offer a visual feature set that's a match for a particular PC preset, often employing a mixture of low, medium and high settings from the menu available. 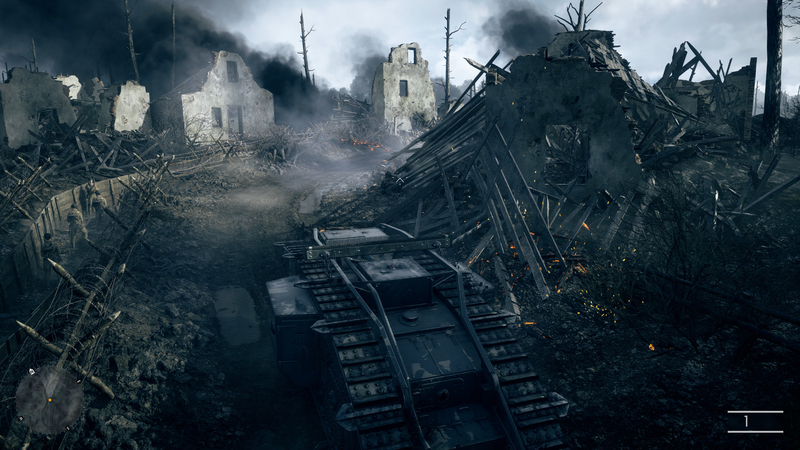 Sometimes, PC can offer dramatic improvements at ultra - Battlefield 1's terrain quality is vastly improved over consoles, for example - but often, you don't need to have everything ramped up to the max to have a beautiful presentation on a 4K screen. With that said, some settings maxed won't bother your GPU regardless of resolution - it really is best to experiment. Secondly, when it comes to rendering to a 4K display, a native framebuffer is obviously the most ideal way to go, but we strongly recommend experimenting with internal resolution scalers and the CRU tool if you feel performance could be improved. Based on developer documentation we've seen, Sony's internal tests found that sub-native resolutions at 1800p and higher still hold up well on today's 4K screens, and our tests on a 32-inch 4K monitor and a 55-inch OLED screen bear this out. 1800p is effective, but there are other options: a 3456x1944 resolution amounts to a 90 per cent scale on each axis, adding a good degree of wiggle room to your GPU in improving frame-rates, while still looking great. Custom resolutions can be 'hacked' into your PC right now with CRU, but really, proper support for sub-native 4K resolutions from AMD and Nvidia would be massively helpful. On top of that, what's clear is that PS4 Pro is opening the door to more techniques that developers could offer to PC gamers with beneficial results. Ubisoft's temporal filtering dramatically demonstrates that checkerboarding is a powerful tool that is conceivably just as useful for PC users. Microsoft and Sony are rolling out checkerboarding code examples to developers for use on consoles - and Microsoft is happy to see it implemented on PC too. However, widespread adoption on PC is all about making the implementation as easy as possible and it may involve AMD and Nvidia stepping up to the plate with bespoke tech or code to get the job done more easily. But of all the technologies we tested in putting this piece together, it's Titanfall 2's dynamic resolution scaler that really is a game-changer and perhaps the most useful for PC users. Why tailor your settings to stress points and worst-case scenarios when the scaler can take care of the work for you? It works best at higher resolutions as the variances tend to be less noticeable, but even for 1080p users, it could be hugely beneficial - and it certainly makes the delicate art of balancing settings for optimal performance less onerous. It's fair to say that 4K results on PlayStation 4 Pro are somewhat variable from game to game (and there's a few too many straight 1440p modes for our liking) but with its best titles, the console lives up to the promises Sony made for it. And the good news is that these technologies could prove equally useful for PC gamers too. Just like PS4 Pro, a mainstream 1080p graphics card like GTX 1060 can produce pleasing results on a 4K display even if it's not 'real' native 4K - but the key takeaway here is that all the console techniques discussed here only add more options for PC gamers in customising and optimising their gameplay experience - and that can only be a good thing.